All our products are exclusively made from virgin wood sourced locally and sustainably, produced in our Gorton-based yard and sold in the Greater Manchester area. Find out more about the environmental, social and economic benefits of using wood as a fuel or as timber. 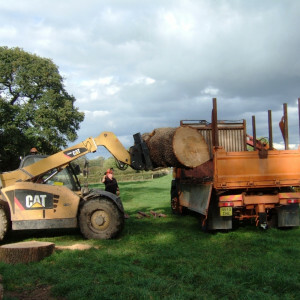 In accordance with our ethics, we aim to use primarily treework arisings – our own, local contractors’ and Local Authorities’ – with commercially sourced softwood making up the difference between supply and demand (mainly for woodchip). Arisings can be of two sorts: urban treework or woodland management, where timber is felled for the primary purpose of habitat management. In either case, felled trees are either clear of legal protection (i.e. free from Tree Preservation Order) or work is approved under a Forestry Commission grant scheme. When we need to purchase commercially grown timber, we do so according to our values and principles by ensuring it is locally, legally and sustainably sourced. 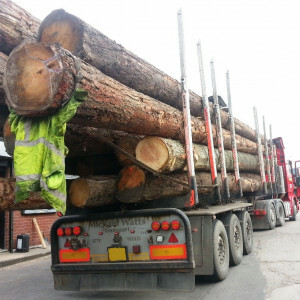 This means that we go further than most suppliers of wood based fuels, by keeping the use of purpose-felled trees to a minimum, and making use of a resource that would otherwise likely not be used in an environmentally efficient manner – i.e. not used to its full potential, becoming a waste, or travelling long distances. Most of our products are air-dried, and we run a low impact, biomass-powered on-site kiln.